According to Lancaster County Workforce Investment Board numbers, as reported by LNP, Lancaster County’s newspaper, the manufacturing industry employs 38,299 people, or 13 percent of the county’s workforce. That puts our industry at the top when it comes to number of jobs, employee earnings and financial output in the county. However craft or skilled workers remain a primary concern for manufacturers. How do we find the best workers for our line of work? While some companies might wait for workers to contact them, we tackle this challenge like we do all others: with a hands-on, proactive approach. We tackle the hard jobs. As GSM Industrial President Brian Dombach likes to say, “We are at our best when it’s not easy. If it was easy, anyone could do it.” To make sure we attract the people who like to dig in and work hard, we get involved early. It starts in supporting the collaboration between educators and employers. Beginning in middle school, teachers and counselors start guiding students toward thinking about college. During the “Jobs that Pay” tour, we – alongside other industry leaders suggested the PA Secretary of Labor & Industry, Kathy Manderino consider how we can educate the educators about career opportunities for students who want to work with their hands. In the past, we have also participated in the Lancaster County Workforce Investment Board’s Pathways to Gold Collar Careers. On Career Night, middle school students from 11 school districts meet with a local employer to learn other options, as well as the skills needed for future careers. Our closest connection is with Lancaster–based Thaddeus Stevens College of Technology, which provides students with skilled career training without the large price tag of a four-year college degree. 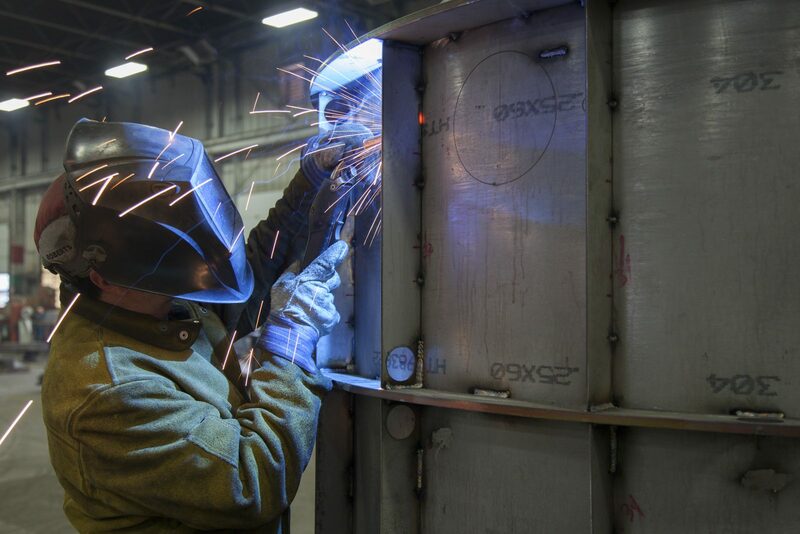 Students who want to work in welding or fabrication can be trained in their craft and transition directly into the workforce. We work closely with Stevens college, including having a staff member on the Board of Trustees, because we believe we are helping to shape the workforce of the future. Take the case of Ryan Thompson. (View video below, or click here to view it on Stevens College’s site.) 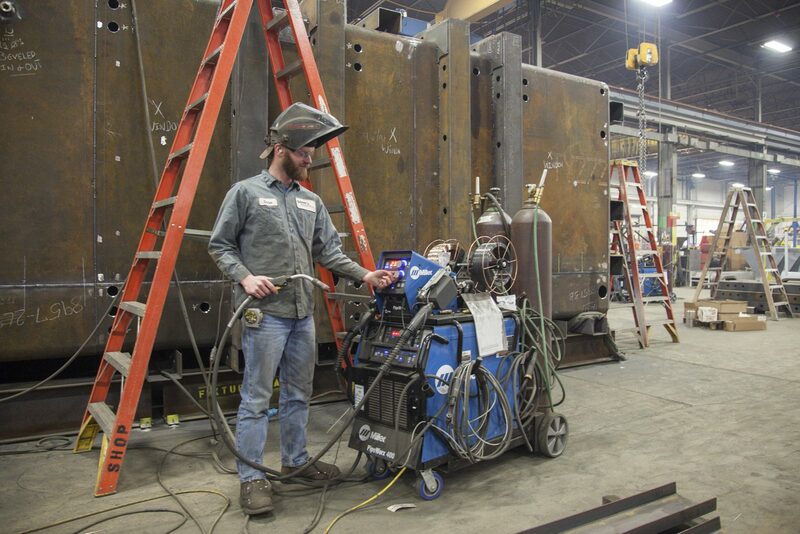 Ryan was first exposed to manufacturing through a high school metals fabrication program. His inspiration started young, and he followed his older brother to Thaddeus Stevens College. What drew him to welding was being able to build things with his hands. He wanted to envision a project in his mind, and then have the skills to design, make, weld, and complete it. These are characteristics GSM Industrial looks for in all of our employees. Do you have a passion to see a project from initial design to shipping it out the door? Do you want to work with your hands to get it done? Do you want to learn new things each day as each project is unique in its own way? Because we partner with schools like Thaddeus Stevens College, we are in a unique position to find and welcome dedicated, skilled workers like Ryan Thompson to the team. Interested in learning more about the GSM Industrial Team? Check out the Our Team page on our website. If you’d like more information on joining our team, visit our Employment page.